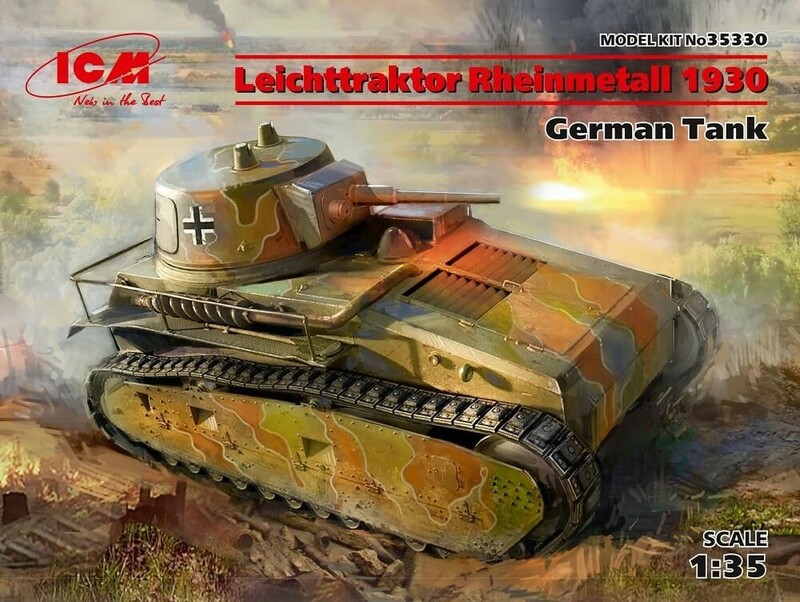 This is the 1/35 German Leichttraktor Rheinmettal 1930 Tank Plastic Model Kit made by ICM Models. DUE TO SMALL PARTS THAT MAY BE SWALLOWED KEEP AWAY FROM CHILDREN AGE 3 AND YOUNGER. Mark Twain Hobby has been helping people get their hobby on since 1976. With the top RC brands and products, plastic model kits, model trains, electric slot cars, and die-cast, you are sure to find what you need and want. Join the new Mark Twain Hobby and remember to Get Your Hobby On! © Mark Twain Hobby Center. All Rights Reserved.